What a heatwave we're having this year in London and across Europe - loving it! 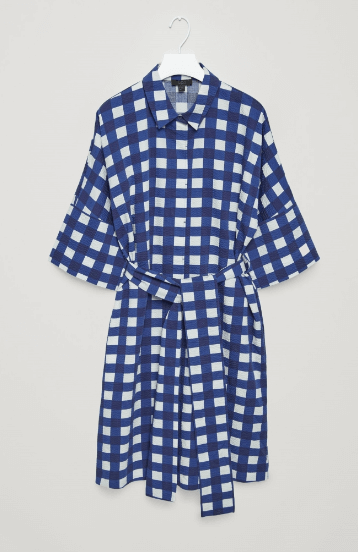 Dresses with sleeves to keep your look cool at work are so hard to find this time of the year. 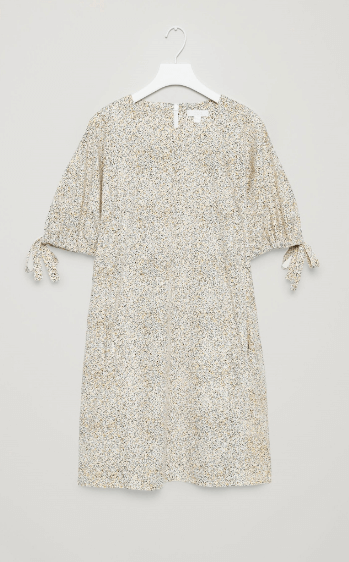 Most of the dresses are sleeveless for summer and most of the shops are currently on sale so it's harder to wade through the choice and easier to get distracted by pieces you wouldn't normally buy because they are a bargain! My advice, don't buy anything, ever, unless you love it. So when it's as hot as it is now in the City and you are going to work in an office, the easiest thing to wear is one piece, a dress. All the dresses I'm featuring in this post are with sleeves because number one, wearing a sleeve on a dress at work looks more professional so it gives you more options - you can wear it to meetings as well as just on a normal day at work, and number two, lots of us ladies do not like getting our arms out and finding dresses with sleeves in the summer is extremely difficult! 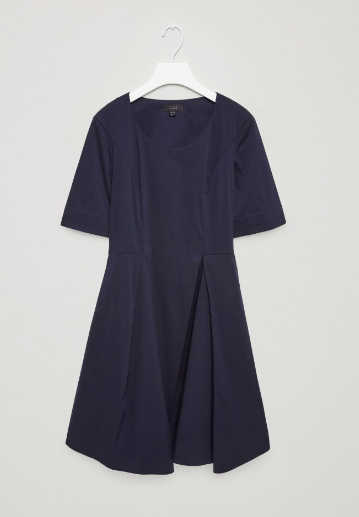 Cos is a fantastic store to find cotton or cotton mix dresses for the office with sleeves. I mention the material because natural fabrics are a much better choice in this heat, especially if you want to stay cool on the tube. I particularly love the pale yellow dress with belted back and the fail-safe navy dress below with pleated skirt. Both would look good with natural brown or white strappy sandals. I've almost finished shopping with my clients for the summer season and will stop taking bookings by 31st July until September. If you've decided you want some professional help with clearing your wardrobe and shopping get in touch! Lisa Gillbe is a personal stylist and image consultant based in London.